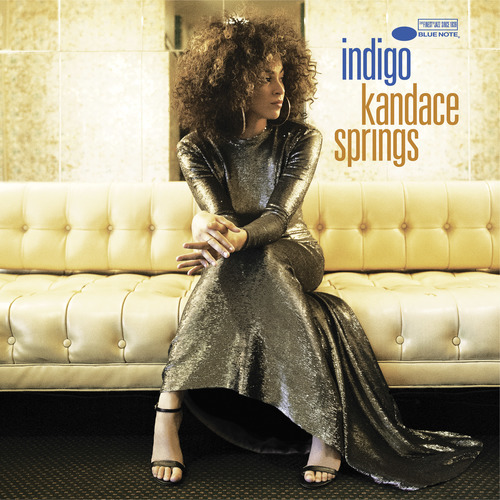 Singer and pianist Kandace Springs has announced a September 7 release date for her remarkable second album Indigo (Blue Note), a 13-track LP of originals and choice covers that showcases the full breadth of Kandace’s artistry from smoldering R&B (“Piece of Me”) to gorgeous jazz ballads (“Unsophisticated” featuring Roy Hargrove) to the pop songcraft of “Breakdown” and “Don’t Need The Real Thing,” the album’s lead single which is out today. All but two tracks are produced by drummer/producer Karriem Riggins (Common, Erykah Badu) with additional production by Jamie Hartman (Rag’n’Bone Man), Jimmy Hogarth (Amy Winehouse, Corinne Bailey Rae), and Evan Rogers and Carl Sturken (Rihanna). Indigo is available to pre-order now on vinyl, CD or download. Kandace is currently finishing up a summer-long North American tour supporting legendary artists Daryl Hall & John Oates, with upcoming dates in Los Angeles, San Diego, Oakland, Portland, and Seattle over the coming month. This Fall, Kandace will embark on a U.S. headline tour beginning September 28 that includes album release shows in Los Angeles (Troubadour, October 1), New York (Sony Hall, October 28), and a hometown Nashville show (City Winery, November 4), followed by performances in Europe and Asia. See below for a full list of tour dates and visit kandacesprings.com for ticket info.